This jacket was advertised in 1939 by Penney's. 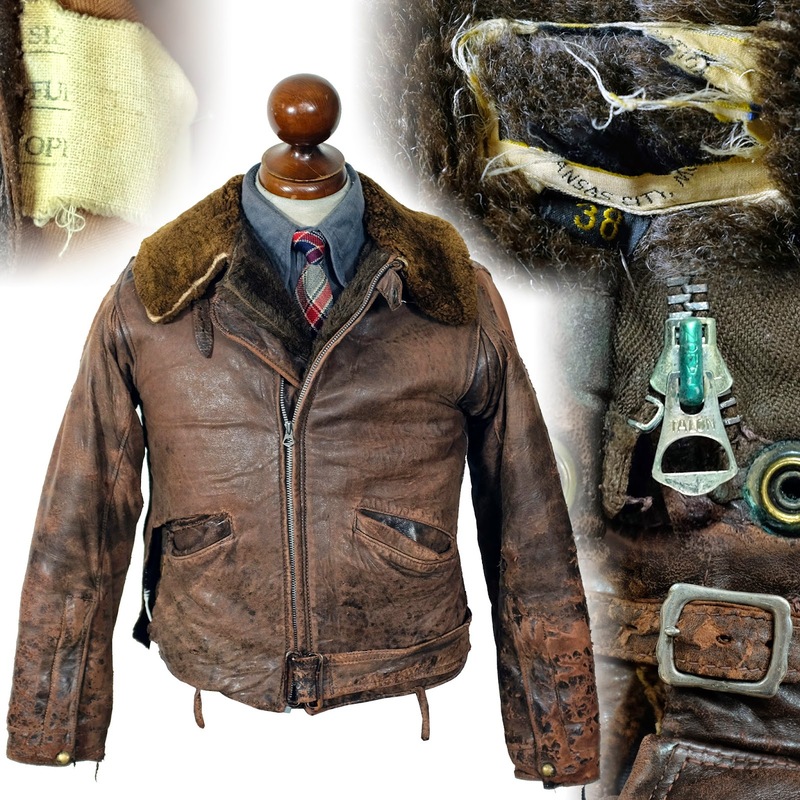 As with many jackets of this aviator style, it was made of capeskin. This one featured a "sports back" and half belt, with yoked shoulders, and button cuffs. The outstanding detail of this particular model would have to be the map pocket. This large patch pocket would later evolve into the D-pocket found on certain motorcycle jackets of the 1940s-1960s. 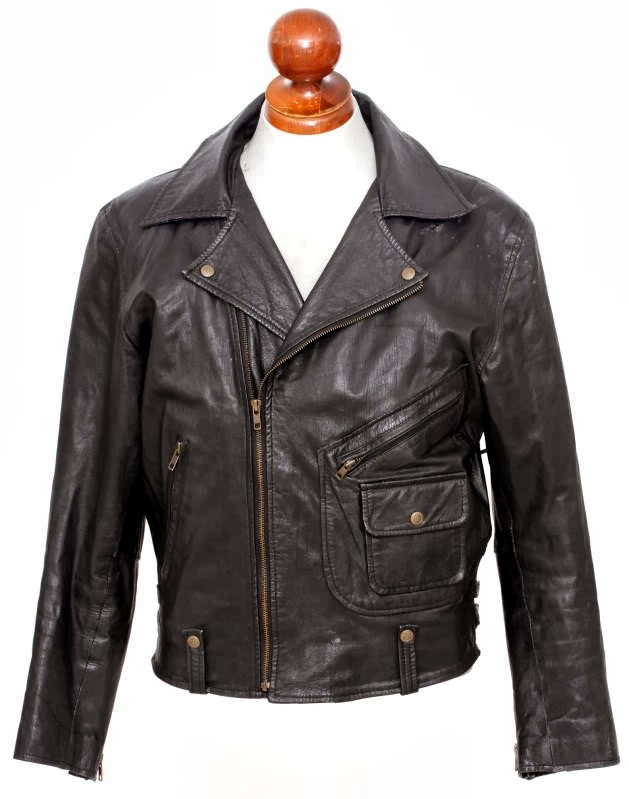 This sort of top-loading map pocket with a smaller patch cigarette pocket would later become more associated with motorcycle jackets, like the one below.